A brand new Party Crash event will be taking place in ARMS this weekend, giving players a chance to test out all of those lovely new features just released in the game's Version 5.3.0 update. As always, this timed event will allow players to earn brand new badges and in-game cash as they fight through round after round as one of the featured fighters. 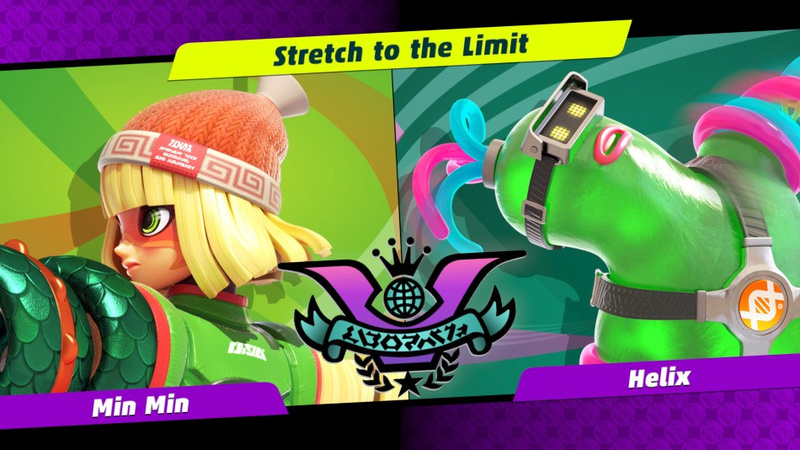 This time around, Min Min and Helix are the event's competitors, fighting under a 'Stretch to the Limit' theme. The #ARMS Party Crash returns this weekend! Which of these two fighters will be stretched to their limits? The event starts at 9am UK time on 13th April, and ends exactly three days after at 9am UK time on 16th April. Will you be taking part? And, more importantly, whose side are you on? Let us know in the comments below. Odd theming... Don't all ARMS fighters stretch to the limit? I was wondering what they were going to do since only Helix was left without a Party Crash. This seems like a completely random pairing and kind of disappointing. Should've been 1 vs 100 Party Crash: Helix against his clones. Great change to the Party Crash format if it was just possible. @janfritz Some people were hoping the cell would be a playable character to even out the roster and to have eight party crashes without a repeat character. Min Min is my favorite character, but I already have her badges... I wonder what I'm going to get if I choose her once again. @AlphaElite I imagine they'll now cycle through everyone again, just with different match ups, and Min Min just happened to be the one that got put against Helix. I will participate on that day. If you found David.H name on Party Crash, that was me. Busy this weekend so it's a no from me. 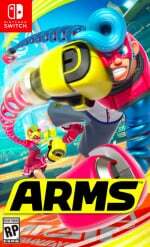 But Arms is definitely the game I'm playing most lately. Love it. Finally, I can get that sparkly Helix badge! @DABYX No you don't need a rank, the Party Crash just replaces Party Mode. You don't even need to be either of the two fighters to participate in the event either. There is a like rank system that just stretches over Party Crashes, but it doesn't change the game or opponents at all, just awards you badges. Team Helix, baby! Let's-a go! "9am UK time on 13th April"
What’s that in American (Eastern time zone)? Helix, my least favourite character, but, I need those badges damn it.